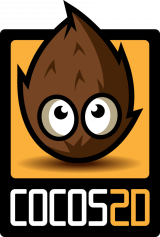 I’ve been deep diving into cocos2d for the last couple of weeks. And I must say that it makes your life a whole lot easier when you have to create games or highly interactive apps with a lot of animations for iOS. The only problem is that there is a lot of information available out there, but it’s not that easy to find something that you can use. A lot of code samples are based on older versions. Sure they still work with some small changes, but I managed to build up some bookmarks to interesting blog posts and tutorials. So I’ll just share some of them..
A first must read is this two part Tutorial by Ray Wenderlich on how to create a simple game, in this case a mole whacking game. Check out part 1 and part 2. It’s a nice short tutorial that covers a couple of interesting topics. One of them us how to build for iPhone, Retina and iPad with once code base. If you want do dive deeper into optimizing your sprite sheets / texture you should definitely checkout this other post on how to create and optimize sprite sheets in cocos2d with Texture Packer and pixel formats. It also showcases the Texture Packer with we now use very extensively. I really love this tool because it can also be called through command line and by this it can be integrated into your build process. Keep up the good work guys! And then off course most information can be found on the cocos2d forum, Cocos2D Central and stackoverflow. These are very useful resources for information. Cocos2D is of course the best. and i have been reading about them and i like it!!!! !